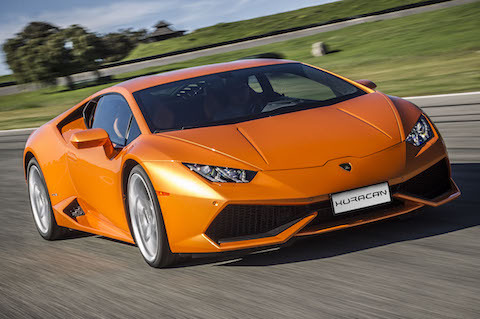 Following its successful market introduction in 2014 the Lamborghini Huracán LP 610-4 is now available to order with a number of updates. The new contents focus on efficiency, drivability and luxury and are already available with the 2016 model year. 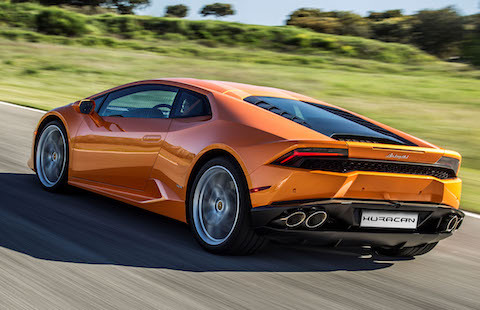 As standard, both the Huracán coupé and newly-launched Spyder version include cylinder deactivation to improve engine efficiency; the first time this function is included in a naturally aspirated V10 engine. When full engine capacity is not required, five of the ten cylinders are temporarily deactivated by switching off one cylinder bank. When the driver accelerates, the system switches back instantaneously to ten-cylinder mode, while being virtually impossible to detect by the driver. This feature reduces fuel consumption and CO2 to 283 g/km. Lamborghini Ad Personam, the brand’s customization program, has also added the availability of interior personalization, as well as exterior options including heritage colors and matt paints. The full Ad Personam program provides for owners wishing to further customize their cars to their unique personal tastes. The options program has been further extended. New options available include Lamborghini’s Sensonum audio system. The system delivers 390 Watts RMS, with a ten-channel amplifier and a range of ten loudspeakers in hexagonal-shaped grilles and the exclusive Sensonum badge. Lamborghini’s optional sports exhaust system, which can be specified with a style package for high gloss black tailpipes, is now available in all markets worldwide.